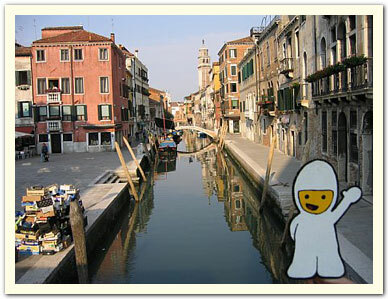 Bumperboy walks through one of the many canals of Venice. May 2006. 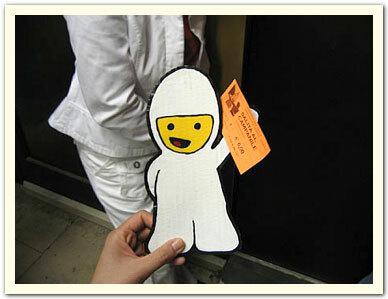 Photo taken by Christine C.
Ticket in hand, Bumperboy is ready to go up the elevator in the Campanille in San Marco Square. DING DONG! 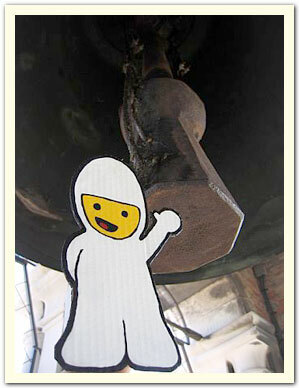 Bumperboy rings the bell in the Campanille. 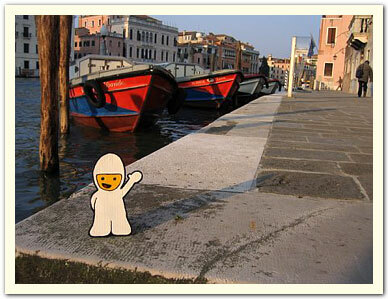 Bumperboy enjoys the view of the Santa Maria della Salute. Which boat should Bumperboy take? 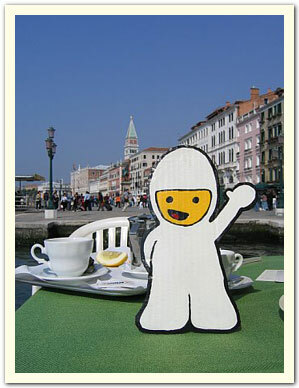 Bumperboy ends the trip on a lazy Sunday morning with a cup of tea by the lagoon.